American Flamingos are the only native flamingo found in North America. These pink beauties can reach up to five feet tall! The uniquely shaped bird looks adorable here in our cute and exaggerated cartoon style. You can customize this gift! Move the flamingo around, change the product color or style, add text or images -- make it your own! 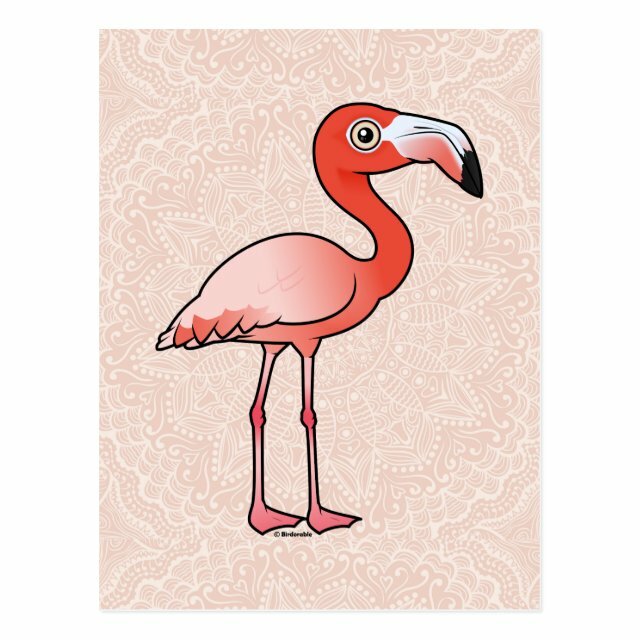 If you'd like to see the Birdorable American Flamingo on a different product not currently available, use the "Transfer this design" functionality via Zazzle, or send us a message and we can make the product available in our store.